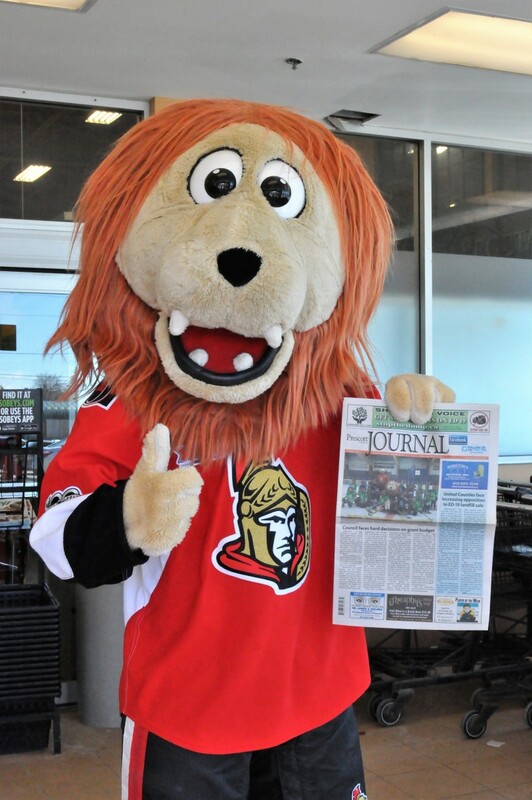 OTTAWA - While the visit from the Ottawa Senators Alumni was among the highlights of the year at the Leo Boivin Community Centre, it was also among the highlights of the year for the Sens Alumni. For the second straight year, the Sens Alumni visited Prescott to take on the coaches from the South Grenville Minor Hockey Association in the Leo Boivin Sens Alumni Game. The charity game was a fundraiser for the local minor hockey association, and it once again kicked off the Leo Boivin Midget AA/AAA Hockey Showcase Tournament. "It's the second year we have come here, and it was once again an outstanding event," said Shawn Rivers, an Ottawa native who played in the NHL for the Tampa Bay Lightning. The game featured a number of former NHLers. Some, like the first Sens captain Laurie Boschman and Pascal Leclair, were former Ottawa Senators. Many others, like Rivers and former Boston Bruins Stanley Cup winner Rick Smith, are Ottawa-area players who played in the NHL either before the Sens were back in the NHL or played for other NHL teams. "For two years now, the Prescott game has exemplified what our mission with the Sens Alumni is," said Smith, who talked to many fans after the game about his career alongside Bobby Orr, playing for Team Canada against the Soviets in 1974, and playing for coach Leo Boivin with the St. Louis Blues. "The energy in the building was fantastic. The crowd was big, the fans are great, and we loved how The Row was so involved." Smith and Boivin organized a "trade" between the Sens Alumni and the South Grenville coaches, as the Sens acquired lifelong Sens fan Ty Bologna to play with them. The young man scored a natural hat trick for the Sens in the final few minutes of the third period to a thunderous ovation. After the game, the Sens Alumni and the South Grenville coaches adjourned to the Red George for a reception where the players mingled and enjoyed food and beverages. Leo Boivin caught up with a number of the players that he used to coach and, in the case of Fred Barrett, played with. "We had a great night and we hope we can do it again next year," said Boschman. "We had a great time with the South Grenville coaches and the game was a lot of fun for everyone."